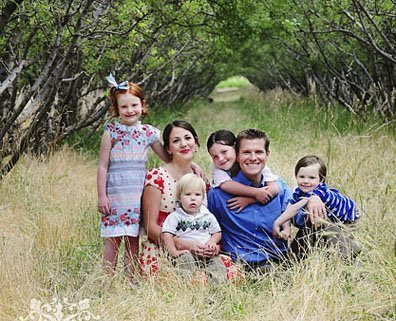 Blogger, Stephanie Nielson of Love for Nie and her husband, Christian were recently in a fiery plane crash. A third person in the small plane died. The Nielsons miraculously survived, but have a long recovery ahead of them. The blogging community has really come together to help Stephanie, Christian, and their four beautiful children. To bid on some amazing products and services donated by some very generous bloggers, visit Design Mom. To learn a little more about this terrible tragedy, visit In(side) the Loop for a news video. To make a donation, visit Nie Recovery or click on the button below. If you are able, please open your hearts and wallets for this sweet family. If you are unable to donate, please pray for their recovery.